The word xylitol causes me to conjure up images of a chemically laden substance. But, xylitol makers have slapped the word “natural” all over bags of xylitol that you find sitting on store shelves. And indeed, it is classified as a natural sweetener. 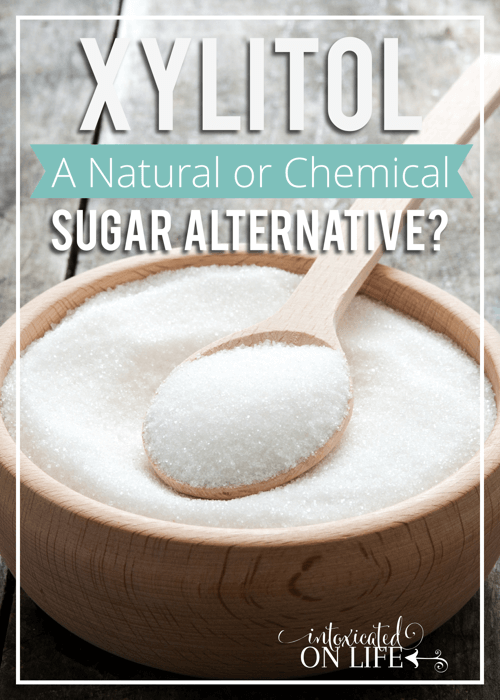 Is xylitol really natural? Or is it just another wolf is sheep’s clothing like high fructose corn syrup? Xylitol was discovered late in the 1890’s. It wasn’t until the 1930’s that xylitol was synthesized into a pure form, much like what we use today. It was used as a sugar replacement during World War II in some countries when sugar shortages occurred. Today, you find it on health food store shelves and also added to a number of products including chewing gum, mouthwash, floride treatments, toothpaste, and also in some pharmaceuticals. Xylitol is in a class of substances called “polyols,” more commonly known as sugar alcohols. Sugar alcohols are neither sugar nor alcohol, but have a chemical structure that has similarities of both sugar and alcohol (I won’t bore you with anymore chemistry). There are a number of other sugar alcohols including maltitol, erythritol, mannitol, and sorbitol, amongst others. Fibers of fruits and vegetables naturally contain xylitol. 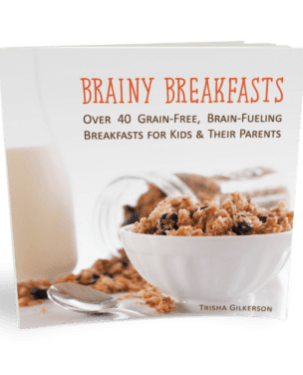 It can be extracted from various berries, oats, murshroms, corn husks, sugar cane, and birch trees. 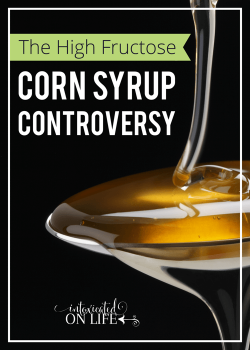 This fermented sweetener is made from whole plant pulp, but must undergo an extensive treatment and processing to become the sugar like crystals you find sitting on the shelf at health food stores. It’s hotly debated whether this sweet substance resembling sugar should actually be called a “natural” sweetener. This sweetener with a strange name actually has a number of well established benefits. 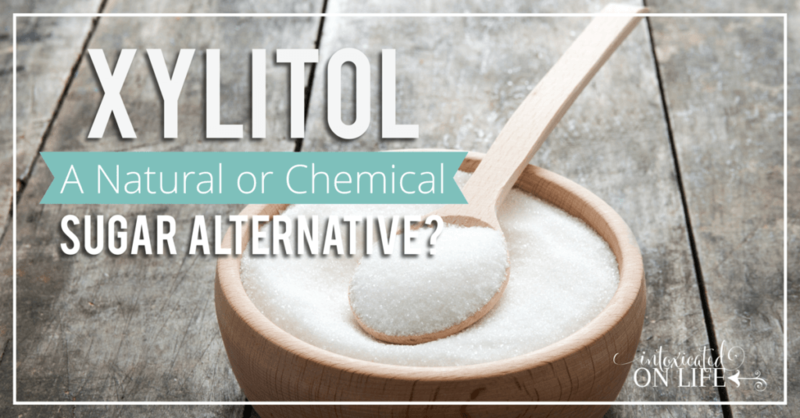 With all of those potential positives to be gained from use of xylitol, you might wonder: What’s not to like? For one, as mentioned previously, xylitol is a processed food. We are not eating xylitol in it’s natural whole food form. This has caused much debate regarding the healthfulness of xylitol. Some argue that xylitol, as a processed food, cannot be part of a healthy diet. 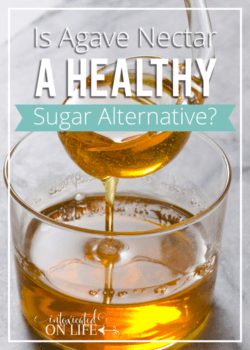 Others, argue that because of the many benefits, it is a perfect sugar substitute. Xylitol can also have the propensity to cause gastrointestinal problems in some individuals. Because xylitol is not fully broken down in your system it can have a laxative effect. Other reported discomforts include bloating, gas, and abdominal pain and cramping. Adaptation can occur in individuals who are particularly sensitive to xylitol if it is introduced very slowly into the diet. Despite the abdominal discomfort and gastrointestinal distress that occur in some individuals, there are no known serious side effects from consuming xylitol. Many companies that market xylitol produce their xylitol from genetically modified corn. Though there are several out there that sell non-GMO xylitol, it’s important to do your investigative work prior to investing in a GMO derived product. Finally, it is important to note that xylitol is dangerous to dogs. It can be toxic and can cause dangerously low blood sugar if your sweet poochy gets ahold of it. Xylitol has the same approximate sweetness as table sugar, but with 1/3 less calories. 1 gram of xlitol has just 2.4 calories to sugar’s 3.87 calories. Xylitol has the same amount of carbohydrates per serving as sugar, but remember because xylitol is not broken down and metabolized well in our systems it has very little effect on blood glucose and insulin levels. Because of this xylitol is on a 7-13 (depending on the source) on the glycemic index. Most individuals do not have problems with their blood sugar when using xylitol. However, there are exceptions. If you peruse the Internet you can read comments from people that say it causes a rise in their blood glucose levels—not good. If you’re on a very low carb, ketogenic diet, it may also cause problems: some claim that it knocks them out of ketosis. 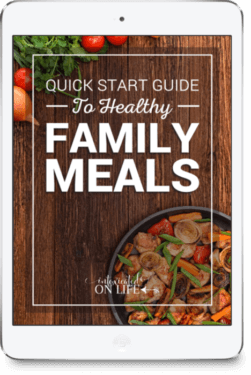 I have checked my blood glucose after using xylitol and ketones and it does not seem to have any negative impacts on me, but your mileage might vary. Moral of the story: always test things out on yourself to see how you’ll respond! 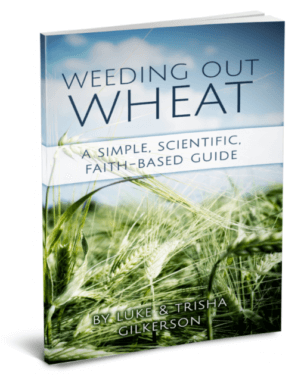 The same action that prevents yeast and bacteria from proliferating in the presence of xylitol prevents xylitol from working in yeast-based breads. If you’re making a yeast bread, you’ll have to use good ole’ fashioned sugar. Be sure to grind xylitol if a recipe does not have a significant amount of moisture or your final product will be gritty. A food processor, magic bullet, or coffee grinder all work wonderfully for this. 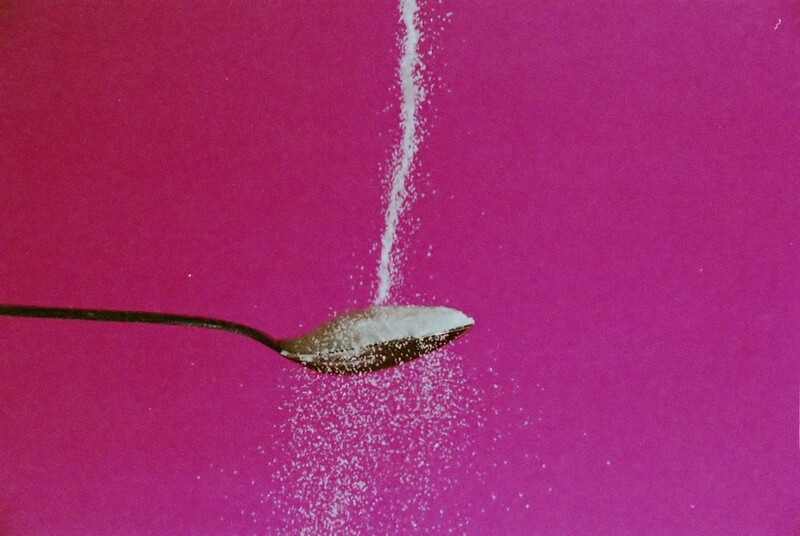 Xylitol absorbs more moisture than sugar, so you may need to increase liquid content. Cooling is sometimes present when using xylitol. By cooling, I mean a menthol-type effect. The sensation you get with a strong mint. This can be decreased or eliminated by cutting down on the xylitol and using other sweeteners. 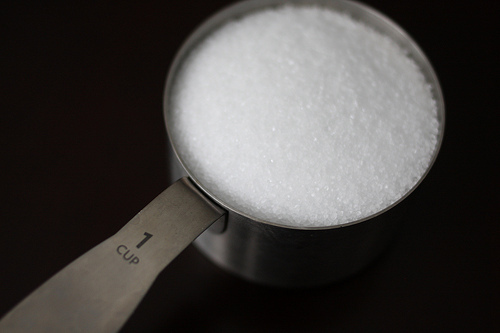 If you would like to use xylitol as a brown sugar replacement, add 2 teaspoons of molasses per 1 cup of xylitol. 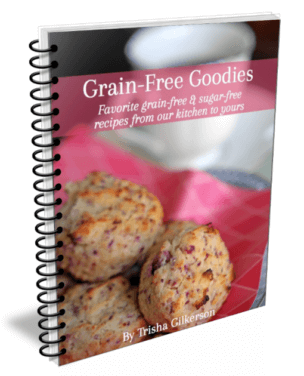 Xylitol acts as a preservative and increases the shelf life of baked goods (bonus!). Xylitol will not caramelize or brown your baked goods the way sugar will. Though xylitol definitely stretches the definition of “natural,” for me, the good outweighs the bad when it comes to xylitol. The major vice of xylitol, abdominal distress, appears to happen primarily in individuals that lack good gut health (which is, unfortunately, quite a large number of people). The literature suggests that most people, when xylitol is introduced into their diet gradually are able to tolerate xylitol quite well and are able take advantage of it’s benefits. I have used xylitol quite extensively and neither I nor anyone else in my family have experienced the aforementioned abdominal discomfort. I do try to decrease the amount of xylitol I use when baking by combining it with pure stevia extract. If you are looking to introduce xylitol into your diet I would recommend starting out with a little and working your way up. If you happen to be one of the unfortunate souls who does not tolerate this particular sugar alcohol well, it wouldn’t be a pretty site to load up your system with it. I guess that’s why it’s always in toothpaste! The dental bennies. I have a lot of GI issues & it really adds to them, so I don’t use it personally. But I’m glad I read this – I didn’t realize a LOT of the info you wrote about! Food for thought: The Medical industry and Dental Industry also think it was safe to put amalgam (mercury) in your mouth and floride in your water. Just because they endorse it, doesn’t necessarily mean it is good for you! You’re right! That’s why it’s important to do your own research and not just take the american dental association’s word for it. I’m actually not sure if they endorse the use of xylitol or not. It does seem like a very good alternative to sugar from my research. I’m also encouraged to read about many holistic and biologic dentists using this in their practice to help prevent cavities in their patients. If you ever look at how cane sugar is made, it is very questionable if you can call it natural. Same with beet sugar. If you get down to it, honey is likely the only real natural sugar, with maple syrup making a second. It’s just tree sap boiled down. Stivia, now matter what they mix it with, always tastes bitter to me. I have thrown out too many things trying to use it. It is, in fact, both. I address that throughout the post. Interesting article. Thank-you for this. I’m curious to know a little more about how you use xyletol with stevia. For instance, I’m baking today with a recipe calling for 2 cups of sugar. How should I substitute? I’d appreciate your opinion. Thanks. Typically I would do approx 3/4 cup of xylitol and 1/4 teaspoon of pure stevia extract. 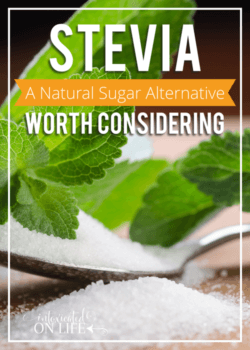 That said, stevia can be different from one brand to another and if you’re not using a PURE extract, you’ll need more. I’d start with a little less than what I said and do a little taste test. You want it to taste a little sweeter before it’s baked than you want the actual product to turn out. These substitutions are not an exact science, unfortunately. Hello. I was just wondering how much xylitol would you use in a toothpaste application? I have made some with bentonite clay, baking soda coconut oil and peppermint E.O. There is about 3/4 -1 cup of it, and since I can’t stand the taste of baking soda, and xylitol is supposed to be so good for your teeth, I thought I’d add some. I should also grind it, as your article suggests? the undigestabilty sylitol,(as with soluble fiber, which is suppose to be the POSITIVE QUALITY) of the sugar alcohol causes Passive osmosis of water to the colon. which causes “Rot” and bad bacteria begins to grow, all this stuff is from the “The Healthy Home Economist”. All this NEGATIVE, information as to xylitol begins “toxic and damaging” is not likE PREBIOTIC “soluble fiber” (polysaccharide, Beta glucan) like in oats or guar gum in beans……can you please CLARITY??? There are some individuals that can’t tolerate some of those raw fruits and vegetable. If you think about it, many prebiotics often initially cause gas and other intestinal problems particularly when the bowl pH is abnormal. This is one of the symptoms that probiotics are necessary. And it’s also one of the reasons you’ll read repeatedly that someone who begins using xylitol should start with just a little bit while they see how their system responds to it. There is quite a bit of research out there on this and it could be a very lengthy post to explain it all. But I do hope some of this info gets you off on the right start in terms of researching xylitol as a prebiotic.